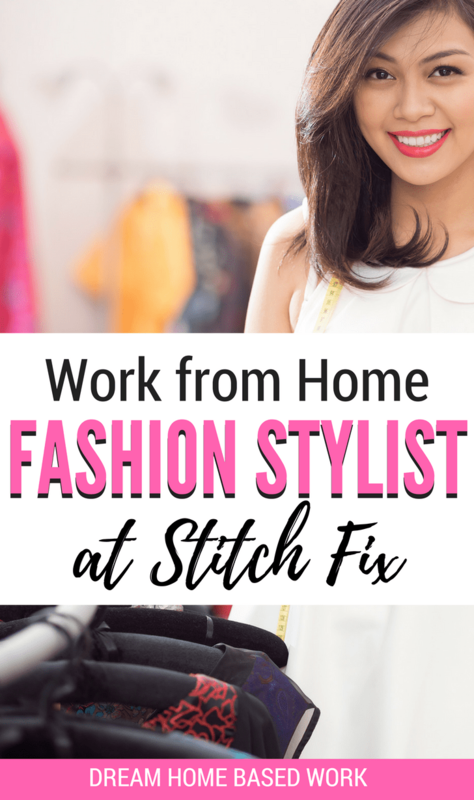 Stitch Fix is seeking online fashion stylists to work from home. You do not need a degree in fashion merchandising or textile design to be a fashion stylist with Stitch Fix. 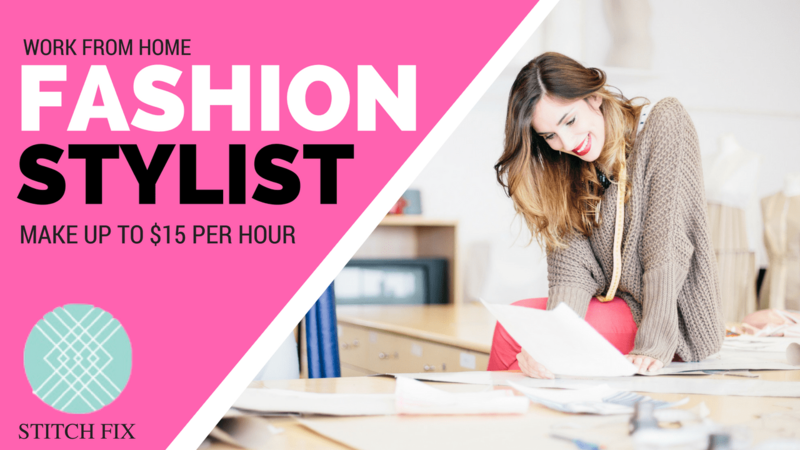 If you are passionate about fashion and style then you can make money from home working as a remote fashion stylist with this online retailer. Stitch Fix is an online fashion subscription site or retailer that helps women discover nice and on-trend clothing items for events or work. They hire remote fashion stylists who provide personalized fashion solutions to their clients. This is one of those popular non-phone work at home jobs. As an online stylist with Stitch Fix, you will help your clients look and feel their best by offering them on-trend styling advice and personalized style solutions by using the Stitch Fix online styling platform. You will handpick a selection of five clothing items and accessories unique to your clients’ taste, budget and lifestyle. You will write personalized notes to your clients with their Fix. They can buy what they like and return the rest. You will help your clients discover the best pieces possible. Must live in one of the following areas: Austin, Cleveland, Dallas, Minneapolis, Los Angeles, Pittsburgh, Sacramento, San Diego and San Francisco Bay Area. Remote fashion stylist at Stitch Fix can earn a generous $15 per hour. They let you set your own schedule – you can choose the hours you want to work. The company offers employee discount to the stylists. If you are seeking a work at home job that offers flexible hours and good pay then this work at home position is for you. Apply now to become an online fashion stylist with Stitch Fix. How to Become a Fashion Stylist with Stitch Fix? To apply, you will have to fill out an online application form ( https://www.stitchfix.com/careers/styling). You can also apply with LinkedIn for the job. The personal stylist role is usually a part time, flexible work at home position. Style Fix hires qualified stylists. If this doesn't interest you? I also recommend checking out more jobs that pay $15 per hour or more. Good Luck!